Elimination of the causes of a flooding event requires trained and IICRC certified professionals like the water damage Ventura experts that Zack Cohen works with at 911 Restoration Ventura, and that’s why you should call him now if you have any type of water damage incident happening! When a water damage Ventura scenario does evolve it moves quickly, and to combat this effect our teams can arrive within 45 minutes of the emergency call for help. “My teams provide this level of heightened care because we truly care about the people and homes of Ventura and the surrounding area,” Zack explains. Zack and the water damage Ventura staff have been solving these challenges for years, and this increased level of familiarity is what gives them the ability to be at the site of any event because they’re available 24/7/365 so that they can start the healing process for the home. “We bring all the latest drying technology to air out the house after we completely remove all of the water that poured in,” Zack explains. Don’t let your home overflow with category three water from any type of flooding incident. Contact Zack and the water damage Ventura specialists with 911 Restoration Ventura today and let them help solve it all for you in no time! 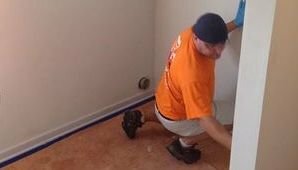 Zack and his teams of water damage Ventura experts have been taking on and solving the challenges presented by water for their entire careers and this is how they have come to learn all of the best tricks of the trade to prevent water damage incidents from taking place at all. “One method that I tell homeowners pretty regularly, is to check their pipes wherever they are exposed to spot any corrosion or rusting that can lead to a larger issue down the road,” Zack explains. “If there is mold hanging around, then there is likely also a leak somewhere that is supplying the fungus infestation with water to grow,” Zack says. Additionally, homeowners need to have a professional inspect the entire plumbing system at least once every two to six years to catch anything that may grow to become more costly later if left unchecked. Don’t let any type of water damage incident arise in your beautiful home or business. Contact Zack and the water damage Ventura specialists with 911 Restoration today and let the home healing begin! 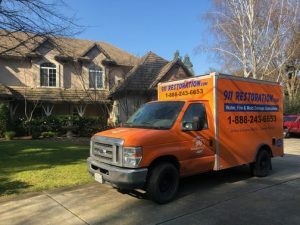 When Zack and his expert teams of water damage restoration Ventura pros take on a flooding incident from any source, they do so with the intention of making sure that the customer is taken care of completely at every end of the equation. “We tie up all loose ends and make sure that there is nothing that hasn’t been taken care of that might come back later to cause a problem,” Zack says. On one challenge that Zack and his teams took on, they went to the home of a woman who had a massive clog in her bathroom tub drain. Zack brought his experience and talent to bear on the issue and took care of the clog, and then took care of the excess water that was left to linger into the structure of the home. “We extracted all of the water and then brought in advanced drying equipment to make sure that we totally dehydrated the home so that no mold contaminations would take hold in our absence,” Zack says. Don’t let a bathtub overflow cause water damage in your home unexpectedly. Contact Zack and the water damage restoration Ventura professionals with 911 Restoration Ventura today and get the clog solved immediately!